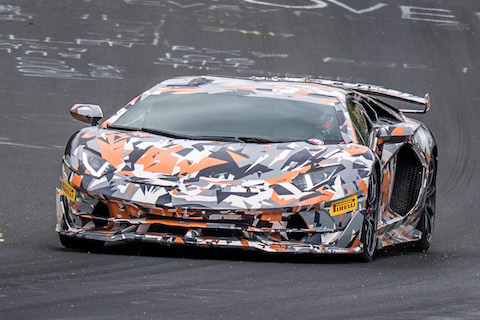 The new Lamborghini Aventador SVJ, yet to be unveiled later this summer, has taken the lap record for production cars at the Nürburgring Nordschleife, in a lap time of 6:44.97 minutes. 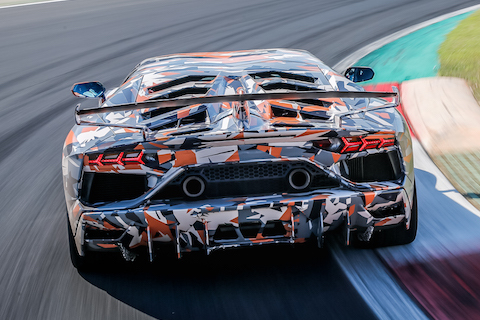 The camouflaged Aventador SVJ with official Lamborghini driver Marco Mapelli at the helm, took on the lap-time test at the 20.6 km track. The challenge was managed by Lamborghini’s Research and Development team, with extensive tire support from Pirelli technicians and driver. Fitted with cameras inside and out and full telemetry, under the formal scrutiny of Remak personnel who managed time and GPS certification using VBOX- Racelogic instrumentation, the lap attempt of the Aventador SVJ was performed during an exclusive session on the Nürburgring Nordschleife.